You don’t need a dedicated device like the Kindle or Nook to read ebooks. The Google Play Store offers lots of great apps that’ll let you enjoy reading right on any Android device. Using an Android ereader app offers a few benefits. The main advantage is the apps’ flexibility; they are typically more format-agnostic than their dedicated counterparts. It’s also one less device to carry around all day. 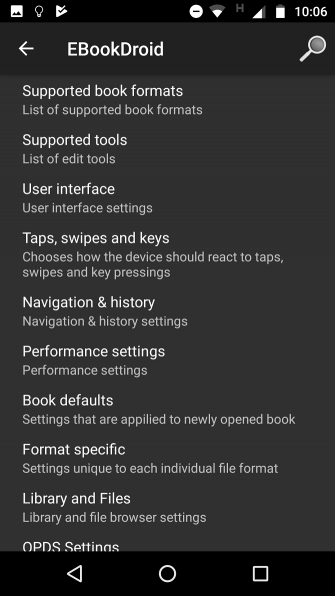 So what are the best ebook readers for Android? Keep reading to find out. If you have a diverse ebook library with books from many sources other than major retailers, you should give Moon+ Reader serious consideration. The app excels thanks to the 12 file formats it supports. As you may be aware, the world of ebook file formats is a confusing place. Thus, the ability to read EPUB, PDF, MOBI, CHM, CBR, CBZ, UMD, FB2, TXT, HTML, RAR, and ZIP files is a massive benefit. It means you won’t need to use Calibre to convert your ebooks into a different format. The downside is a lack of support for Amazon’s proprietary AZW format. Moon+ Reader also offers links to download free (and legal) ebooks The 7 Best Free Ebook Download Sites The 7 Best Free Ebook Download Sites Why spend money buying ebooks when you can download free ebooks instead? Here are some nifty sites where you can do that. Read More from third-party sources, several visual options, annotation, cross-device syncing (using Dropbox), and a night mode. The pro version removes ads and includes some extra features such as shareable annotations and password protection. Bookari (formerly Mantano Reader) only supports two ebook formats: EPUB and PDF. As such, it’s an excellent option for people who predominantly download free ebooks online or buy them from major retailers other than Amazon. It can also read books protected with Sony’s or Adobe’s DRM. They are the two most common DRM systems in the ebook world. However, if you own ebooks that have been protected with a different DRM system, don’t worry. You can use Calibre to remove the DRM from any ebook you own How to Remove the DRM on Every Ebook You Own How to Remove the DRM on Every Ebook You Own No one likes DRM. We all understand why it exists, but that doesn't mean we're ready to embrace it. Therefore, this article explains how to remove the DRM from every eBook you own. Read More . The premium version adds an option to listen to your books using text-to-speech, and unlocks screen display options and the advanced search feature. 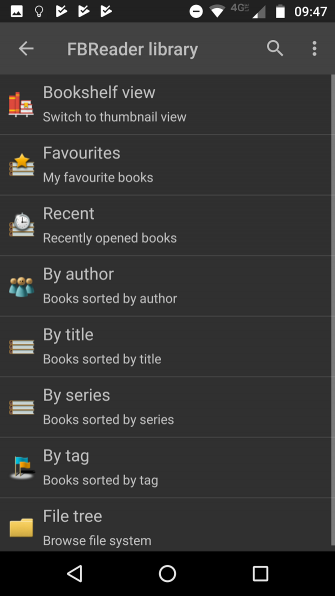 EBookDroid is another app that supports multiple file formats. It can read DJVU, PDF, XPS, FB2, CBR, CBZ, EPUB, RTF, MOBI, and most notably, AZW. 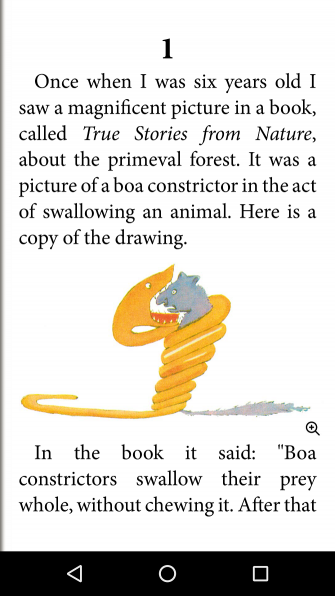 Indeed, it is the first app here that can read Amazon’s proprietary AZW ebook format. It means you can read any books you buy from the Kindle store on the app without needing to first convert them into a different format in Calibre. 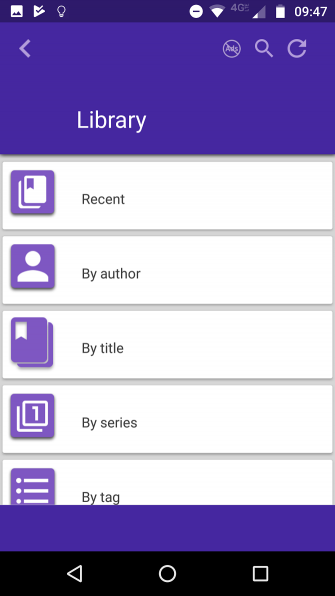 The app also supports the Open Publication Distribution System (OPDS) protocol. It means you can use EBookDroid to access online ebook catalogs and download any titles you want straight onto your device. Other features include external dictionary support, text highlighting, and support for annotations and notes. Wattpad is one of the sector’s most established names. 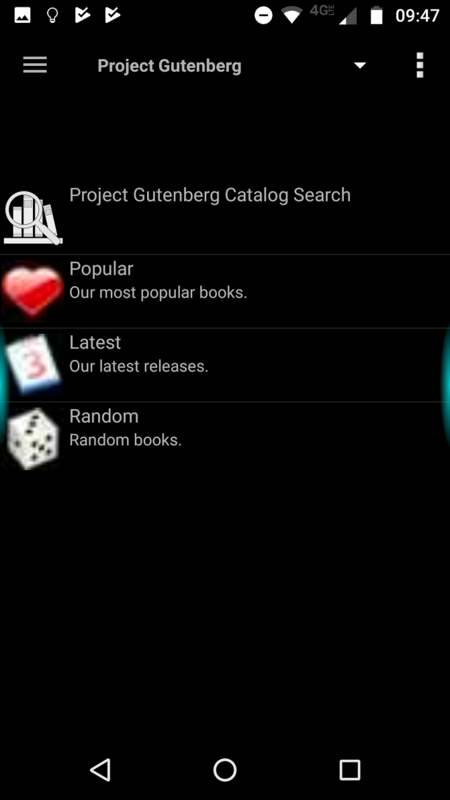 It’s part ebook reader, part social network, and part publishing platform. It gained popularity thanks to its unique feature that allows amateur writers to upload and submit their books for free. It benefits both the writer (significant exposure) and the reader (free ebooks). But Wattpad isn’t only about amateur books. You can find free books from the pros as well, including titles from Anna Todd, Scott Westerfeld, Tyler Oakley, Margaret Atwood, Paulo Coelho, RL Stine, Dan Brown, and more. 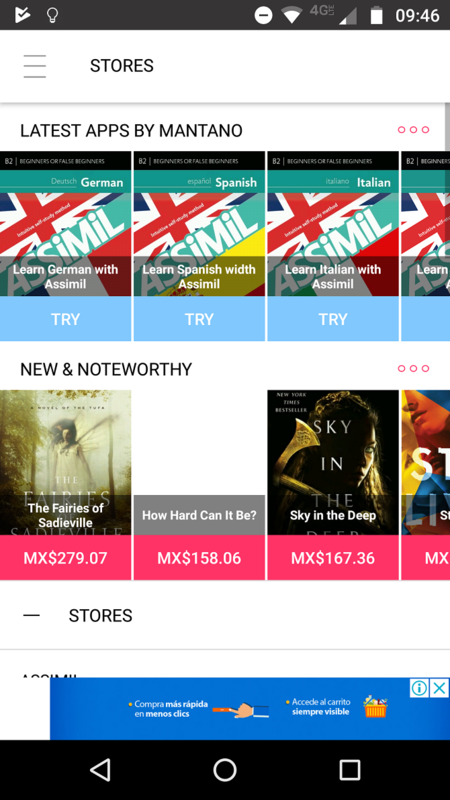 In total, the app offers more than 75 million titles to choose from. It supports most common ebook formats, including EPUB, MOBI, and PDF. 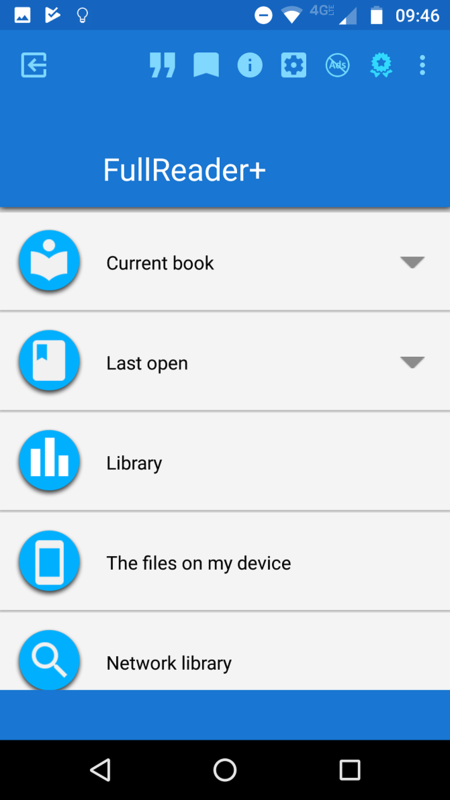 FBReader is one of the most popular independent ereaders in the Google Play Store. It boasts more than 10 million downloads and 150,000 five-star reviews. It’s the second app on this list that supports Amazon’s AZW format. 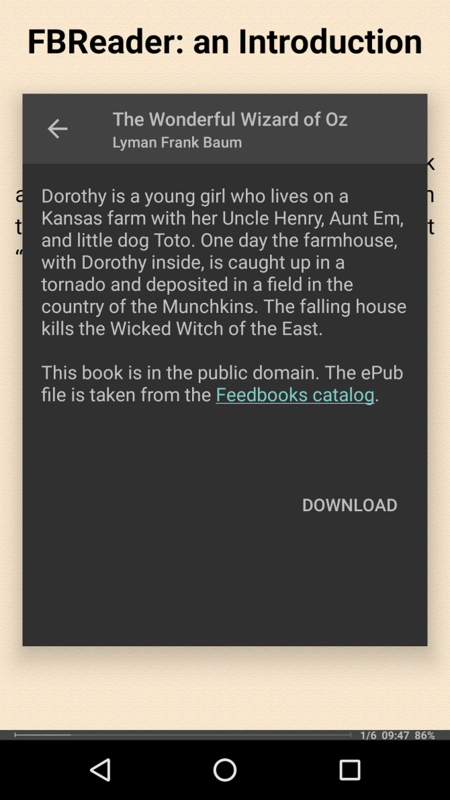 It can also read ebooks in the EPUB, FB2, RTF, DOC, HTML, and TXT formats. The free version’s biggest weakness is the lack of native PDF support. However, if most of your books have come from Amazon or another online retailer, this shouldn’t prove much of a problem. In the worst case, you can try to use the company’s dedicated PDF plugin—but unfortunately, user reviews in the store are not very favorable. Another one of the app’s unique features is the FBReader Book Network. It uses Google authentication to allow you to access all your books from any of your devices. The pro version adds native PDF support, native comic book support, an integrated translator, and an ad-free experience. 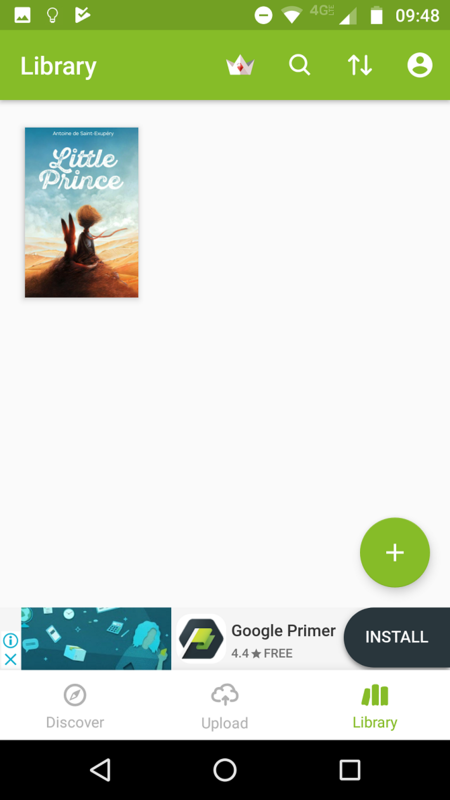 FReader has one unique feature that differentiates it from every other app here: it can play audiobooks thanks to its support for MP3 files. 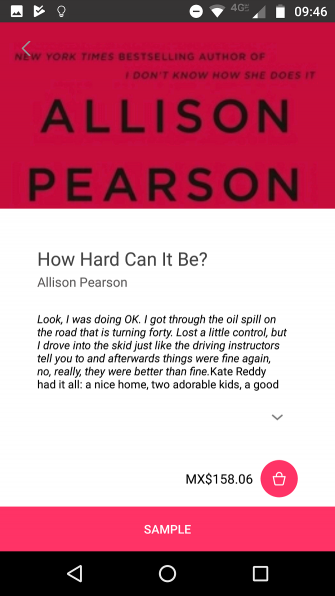 The audiobook function includes bookmark support and background playback. Download some free audiobooks 10 Ways You Can Download Audiobooks for Free Right Now 10 Ways You Can Download Audiobooks for Free Right Now Audiobooks can be a great way of "reading" while doing other things. The only problem is that free audiobooks are rather hard to come by. This list of online resources should help. Read More to see the feature in action. From an ebook standpoint, the app can read all the standard formats, including EPUB, MOBI, PDF, CBR, CBZ, DJVU, ODT, and a few more. FReader is also one of the most customizable apps we’ve covered. It offers 12 fonts, four themes, three page-flipping animations, personalized background images, and a night mode. 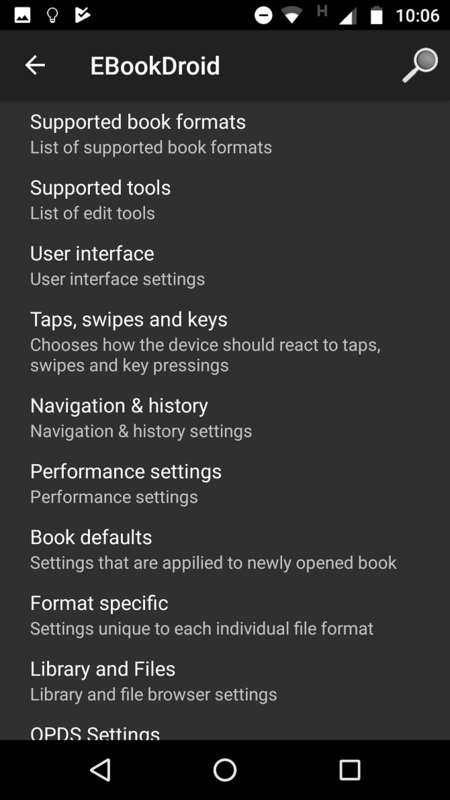 Other features include support for bookmarks and notes, a built-in translator, text-to-speech, and a breakdown of your reading stats. The premium version removes the ads. We’ll leave you with Media365 Reader. It comfortably wins the award for the most supported filetypes. There were more than 50 at the last count, with more added all the time. The app is also a powerful ebook conversion tool. It lets you convert all 50 of those formats into either EPUB or PDF, depending on which is the most suitable. The conversion feature makes it a useful app to keep on your phone even if you prefer to do your actual reading in one of the other apps. You’ll never be stuck unable to open a book that you want to browse. Other features include a powerful import tool, extensive search filters, a way to download free ebooks, and even an ebook publishing tool similar to Wattpad. The premium version removes ads and adds text-to-speech. What About Kindle, Nook, and Kobo Apps? We focused on vendor-independent ereaders, but the Kindle, Nook, and Kobo apps all deserve a shoutout. Feature-wise, all three can compete with the apps we’ve discussed. However, they have more restrictions on the books you can read within them—both in file format and file source. Of course, if you do all your ebook shopping in one of the apps’ associated stores, you should consider using the dedicated app instead of the ones we’ve looked at. Alternatively, download the ebooks to your PC How to Download Free Amazon Kindle eBooks to Your PC How to Download Free Amazon Kindle eBooks to Your PC Even if you don't have a Kindle, you can still download free Kindle ebooks to read on your PC. This article eases you through the process. Read More , convert them, and send them to your preferred reader. 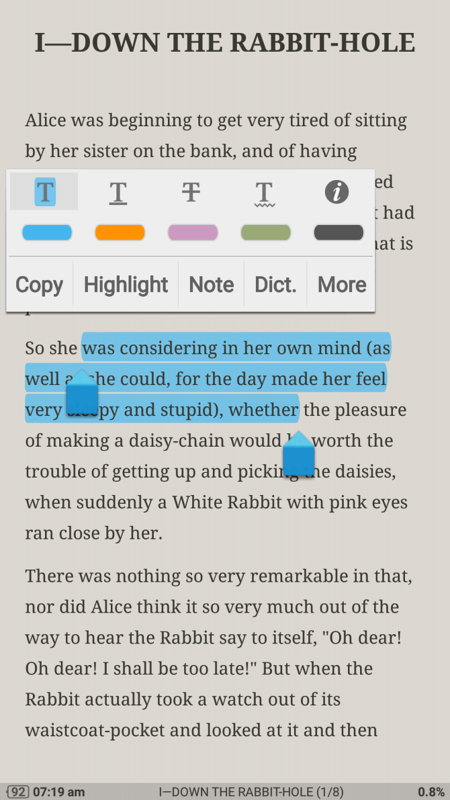 And if you’re prioritizing annotation features, check out these 6 Android ebook readers with great annotation features. 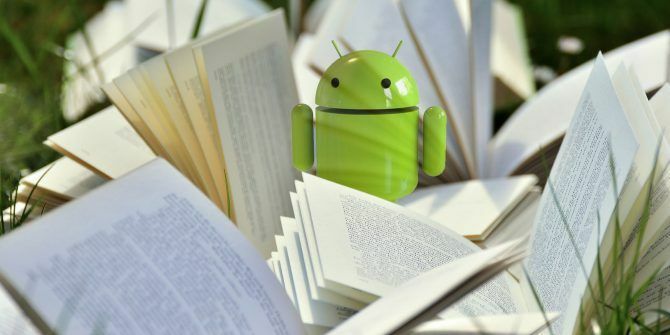 Explore more about: Android Apps, Ebooks, Reading. Oh my Gawwwd! EBOOX not here? You kidding? It should be on Top 1! Aldiko seems to be missing from the list. WARNING: Media 365 does not remove Ads in the premium version!!. Aldiko and Moon+ Reader are both applications I've paid to own, but I'm shocked that Google Play Books wasn't mentioned. 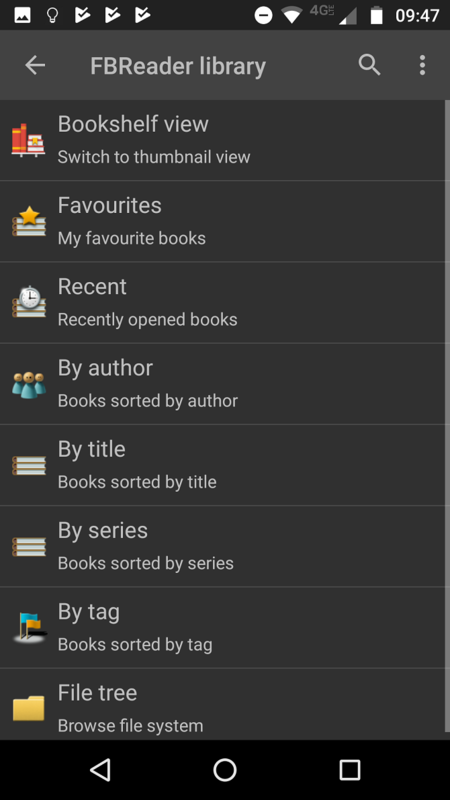 Play Books supports a shocking array of formats, including oddballs like .CBR and also offers its users the option of storing Ebook files from other sources in its cloud so progress in books can be shared across many devices. Google allows for up to 500 books to be stored with a maximum file size of 100MB. I've run across a few PDF textbooks that won't fit but otherwise I'd say that's a feature set that makes it worthy of consideration. Indeed, it is the first app here that can read Amazon’s proprietary AWZ ebook format." Amazon's format is AZW, not AWZ. What, no love for Aldko (https://play.google.com/store/apps/details?id=com.aldiko.android)? 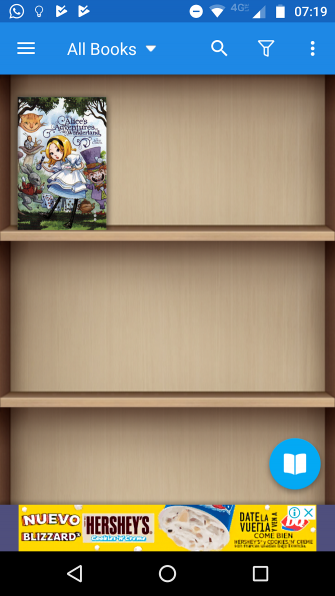 Indeed, Aldiko is always my go-to for Ebooks, great format support and the free version is almost fully featured. Only Text to Speech is locked behind the premium version (plus a few other bits and bobs that don't really impact just wanting to read). Aldiko was, I believe, the first app I bought specifically to support the developers. I've done that with a few apps since, but Aldiko was the first one that made me feel like it was worth buying even though I use none of the premium features, just to show my support for them.